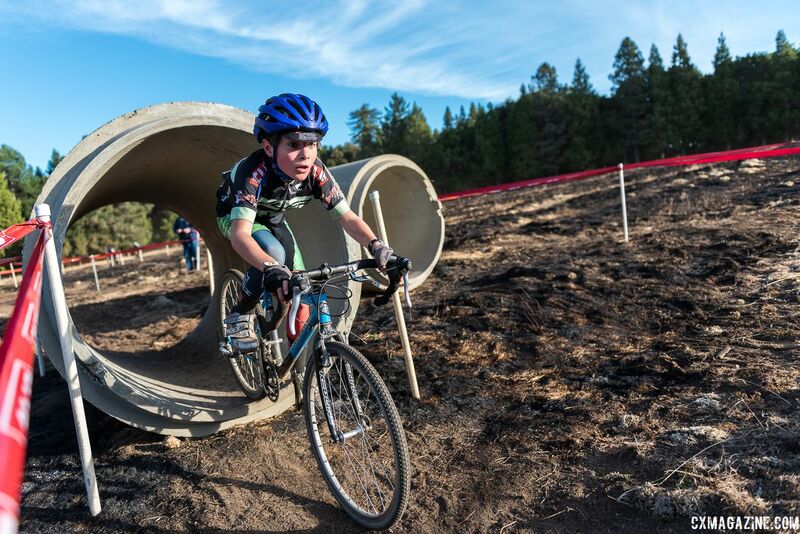 Forty consecutive years is a long time for a cyclocross series. 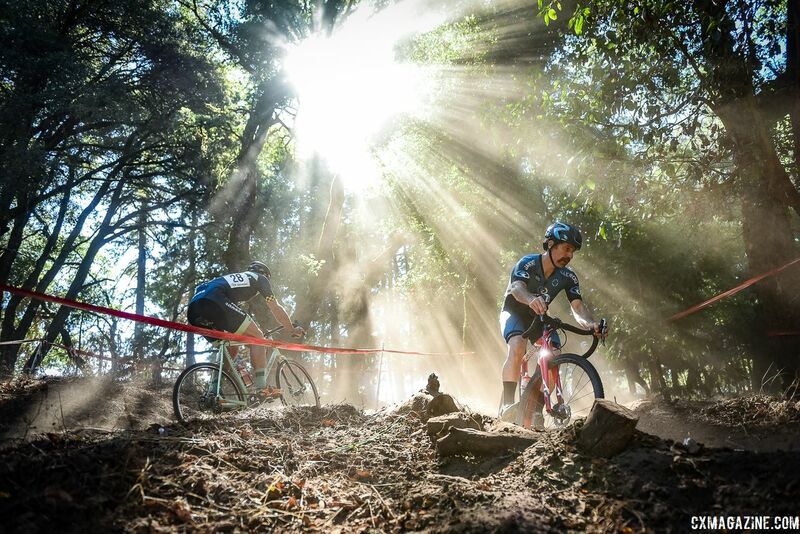 From Robert Leibold of Velopromo to Jeff Clark, Mary Perez and now the former Masters cyclocross national champion pair, Sarah Jordan and Josie Jacques-Maynes, the event has been passed through a number of dedicated, passionate promoters who have kept the legacy alive. 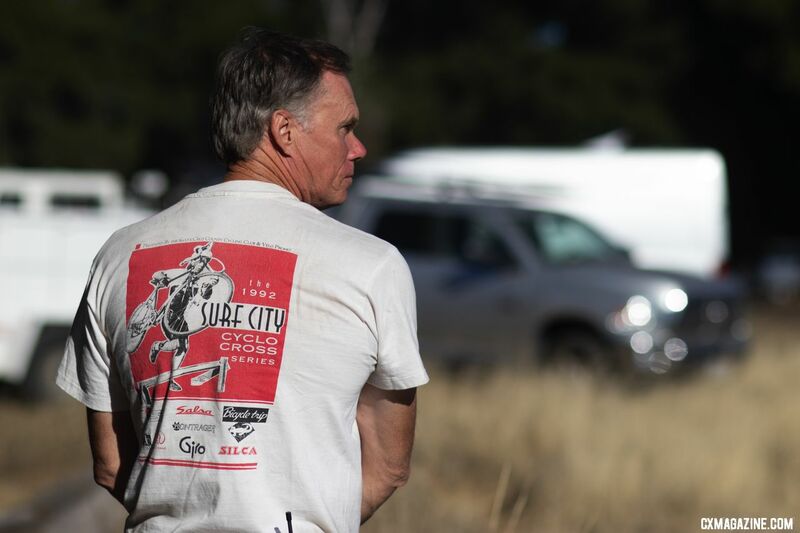 This year, Surf City wasn’t quite a multi-day series but rather a series of races packed into one day. 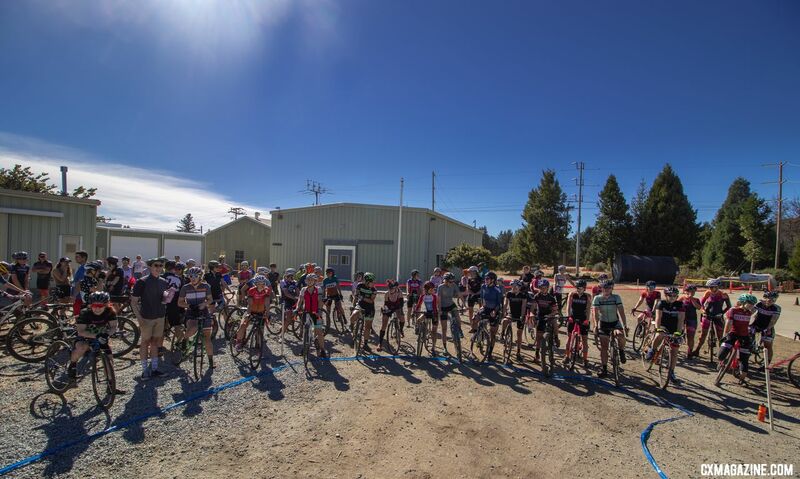 The Rock Lobster cyclocross team joinied forces with the Surf City crew to double down on the fun, continue the history and raise funds for its team. 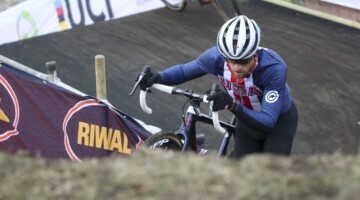 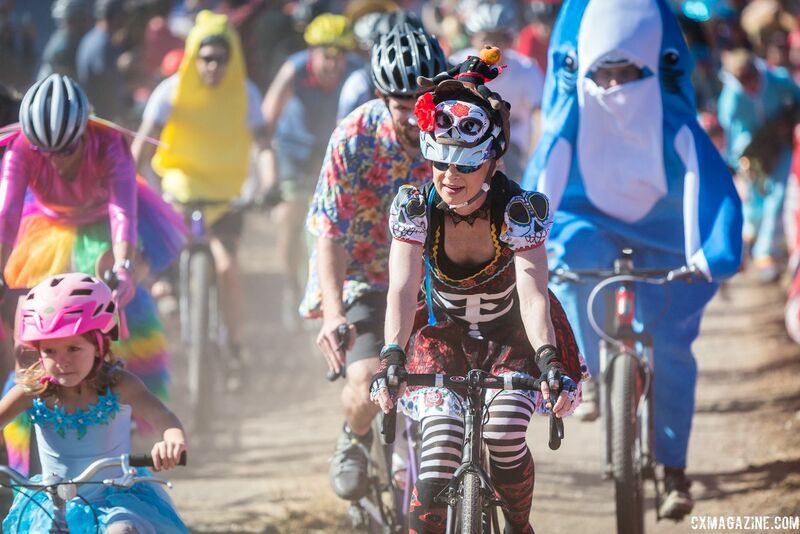 There was the normal slate of category and age group races, but also fixed gear tracklocross, a costume race, kids’ race, in-race big air competition and perhaps most notably, a free Women’s C race. 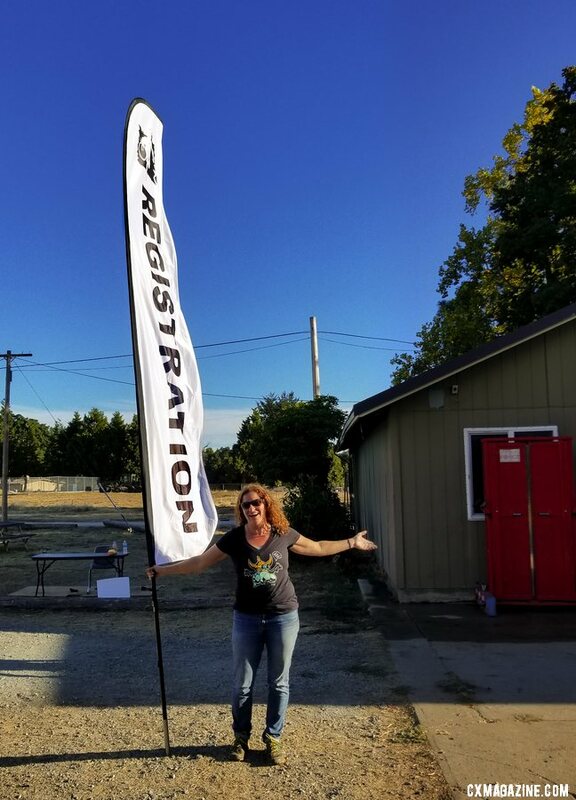 While governing bodies, race promoters and cyclocross committee members are seeking ways to grow the sport, the Rock Lobster and Surf City pairing found stunning success through a tried-and-true marketing technique: make the first time free. 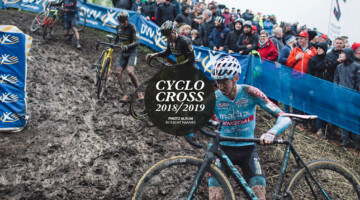 Instead of 8 women, they had a whopping 58 women sign up for the C Women’s race, many who had never done a cyclocross race before. 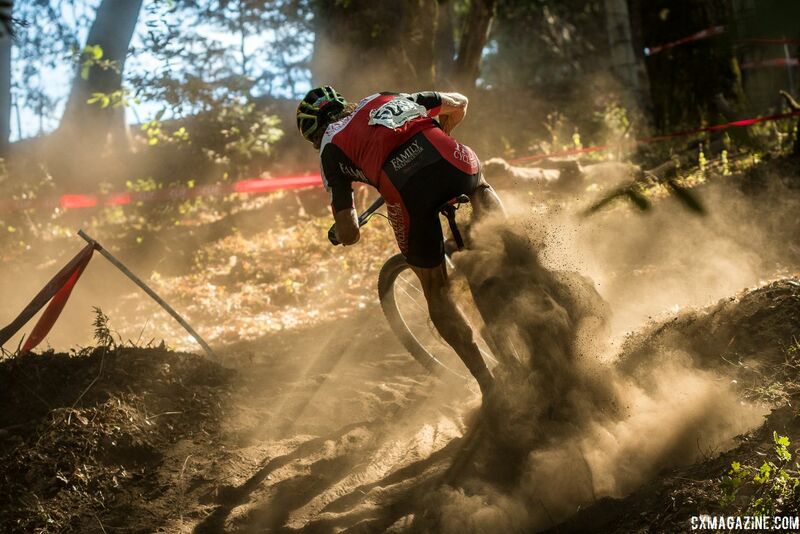 Some had never even raced a bike before, in any discipline. 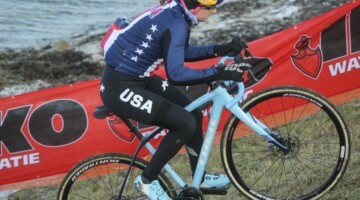 While Surf City isn’t a multi-day series this year, limiting the chance for the promoters to turn the new women racers into paying racers this season, some will undoubtedly return for more racing now that they have been bitten by the cyclocross bug. 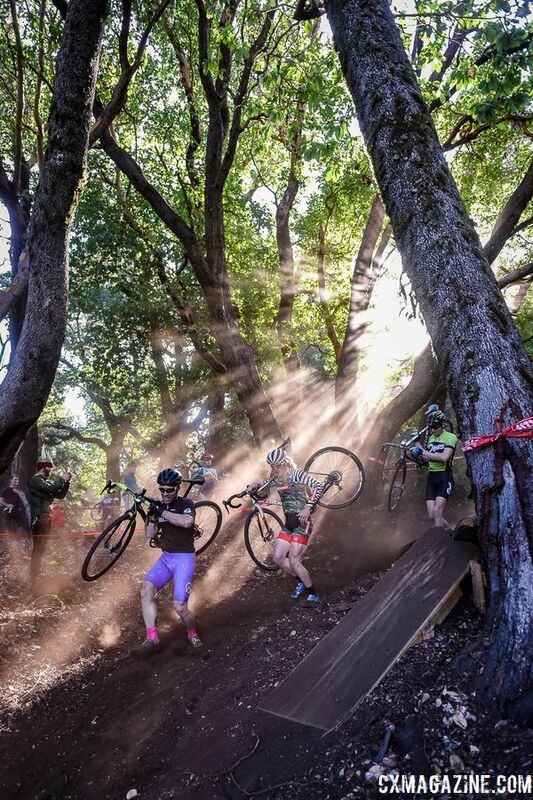 While NorCal has enjoyed zero muddy race days so far this season, course designers made sure bike handling skills were helpful, with inches of deep, loose dirt awaiting riders in the woods. 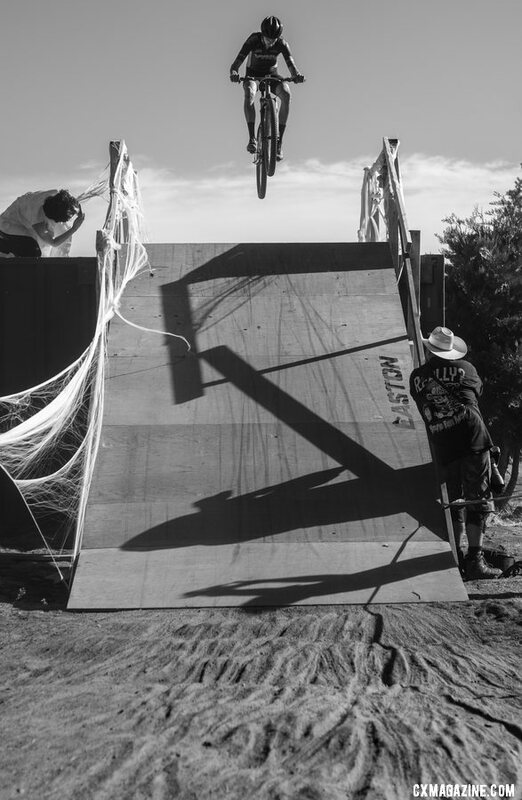 Wooden ramps, downed trees, a freshly-constructed flyover, concrete tubes, a barely-rideable run-up and ash-covered fields all left their mark on faces and memories. 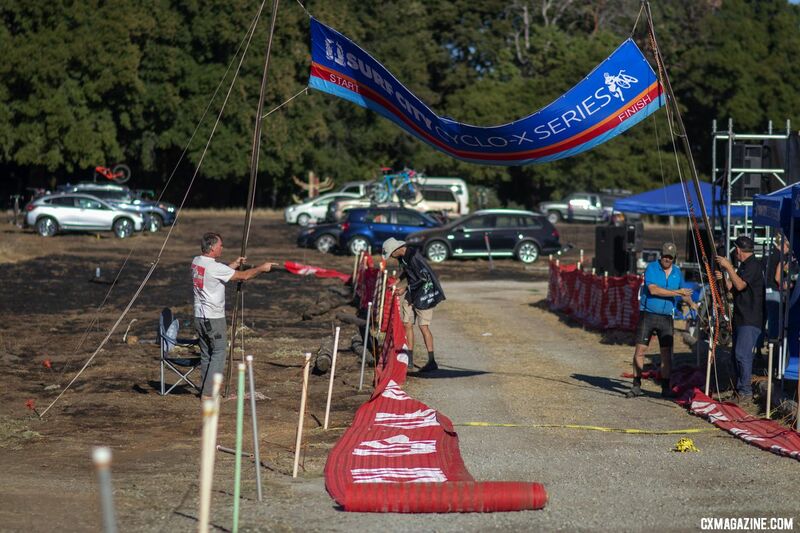 When the dust and ash settled, the consensus was that the team fundraiser race kept Surf City CX’s legacy of fun, challenging and wacky grassroots racing intact. 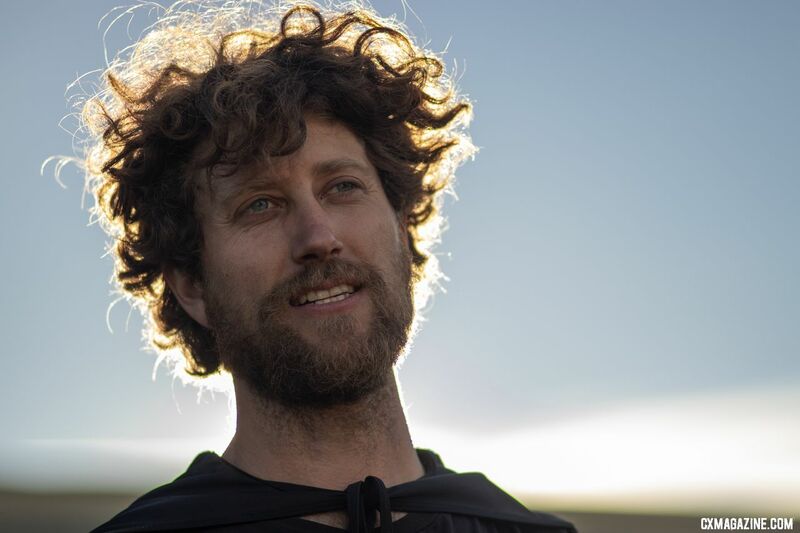 There’s talk of returning to a series next year, but with Jacques-Maynes moving to Washington (perhaps to prepare for another Masters title in 2019), there are accomplished shoes to fill. 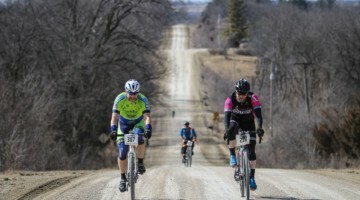 Relive the day with our photo gallery of images thanks to Jeff Vander Stucken, with a few from our own Andrew Yee. 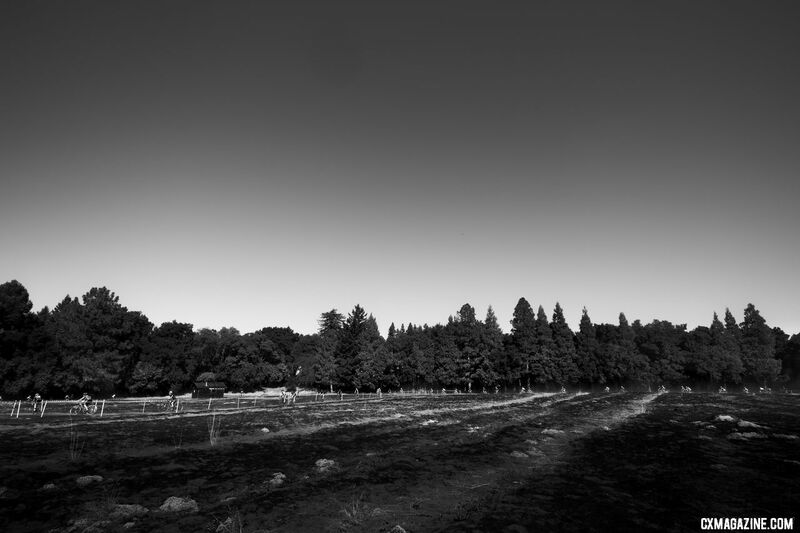 For more photography from Vander Stucken and to purchase any of his images, visit his photo website. 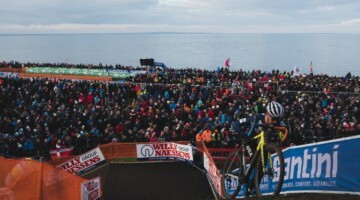 For Cyclocross Magazine’s images, visit our photo site here.